Go Along To Emerald SHS Oktoberfest This Friday! Haven't had a chance to get amongst Oktoberfest festivities? Then make sure you head along to the Emerald State High School Oktoberfest fundraiser this Friday, October 26! 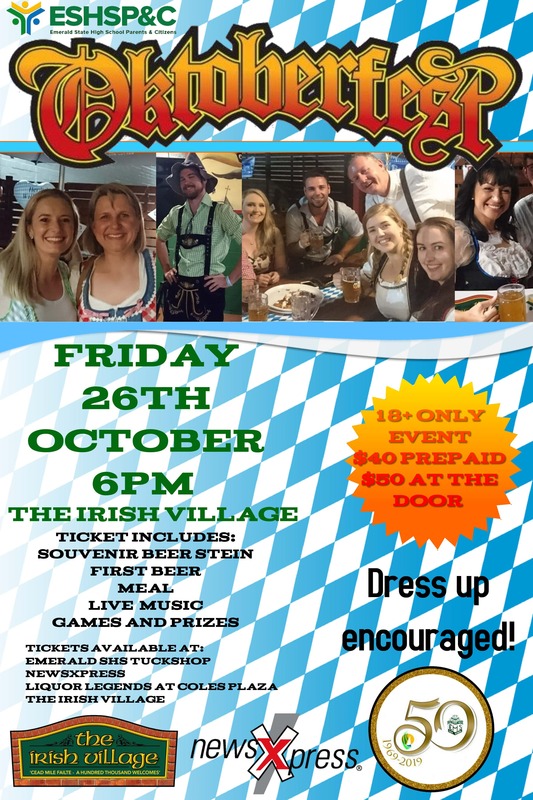 This is Emerald SHS P&C's last big fundraiser for the year and will include dinner, a souvenir beer stein, first drink, live music, games and prizes! You're encouraged to dress up and have fun with it! Tickets are $40 pre-paid or $50 on the night. You can grab your tickets at the Irish Village, both NewsXpress stores and Liquor Legends at the Coles centre.